Rob Baxter has told Sky Sports that he does not want to succeed Eddie Jones as England head coach when the Australian departs. 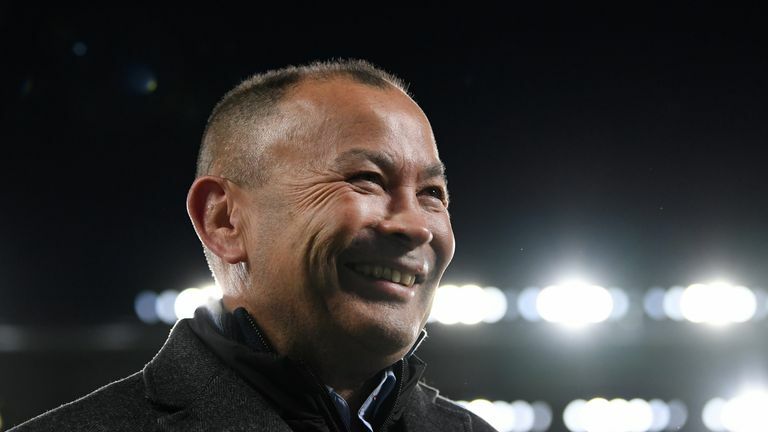 Jones has signed a contract extension until 2021 that will see him remain in charge unless England fail at next year's World Cup, while RFU interim chief Nigel Melville said Jones will be a part of the consultation programme and they would "take Eddie's feedback" as to who they include. Some names have been thrown into the ring already - including Wales boss Warren Gatland - and Baxter is among them, but the 47-year-old says he is not interested in the job right now as he is happy at Exeter Chiefs. "I would say it would be unlikely if I'm honest with you," Baxter said when asked about the England job on the Will Greenwood podcast. "I don't want to do it yet. "Obviously it's an accolade and it's coaching at a high level. What would really excite me is working with a different group of players, some of the best players in the country which means that they're some of the best players in the world. "Some of the players who are involved with England I'm a huge respecter of, and it would be fantastic to work with some of those guys. It would be fantastic to see what you could achieve against some of the best teams in the world. "So there's loads of attractive reasons for it, but the attractive reasons have got to outweigh what you want in your life at any given time, and at the moment what I have in my life here in Exeter is more important to me." There's loads of attractive reasons for it, but the attractive reasons have got to outweigh what you want in your life at any given time, and at the moment what I have in my life here in Exeter is more important to me. Baxter says he has plenty yet to achieve with the Chiefs, and that his family's happiness is more important than his job prospects. "I've got unfinished business with [Exeter]," Baxter said. "I like being the director of rugby at Exeter, I work with people I like. It's an enjoyable situation; I work with players I like and I want to see the fruition of where the club can go to. "My family are very comfortable living here and they enjoy the situation that we're in at the moment. "Rugby's very important to me - and I coach the players like this - but rugby should be an extension of yourself as a person and the life you live and how we all want to be, and that's what I've got at Exeter at the moment and that fulfils me very highly at the moment."